North Carolina General Statute §20-158 governs the rules regarding Stop Lights. This is the same statute that governs stop sign tickets and as such many of the rules are stop lights and signs are synonymous. There are many violations which stem from traffic control devices including turning on red, yielding, and flashing red lights. The most common violation our traffic lawyers are asked about is the violation we all know as: “running a red light”. Our traffic attorneys and staff are consistently as about the legality of going through a intersection on a yellow light. The statute clearly forbids entering the intersection on a red light, but does allow for entering the intersection while the light is yellow. There are multiple ways to fight these NC red light tickets including trial. Our traffic ticket lawyers and staff will address your options including alternative dispositions that can carry less risk than a trial. A conviction of red light violation carries with it three driver’s license points and an insurance point. Each case is fact specific. Further, each NC County will handle a red light violation differently. As such, the way our traffic lawyer handles a Charlotte Mecklenburg red light ticket might be different when the same traffic lawyer handles a Gastonia red light ticket. 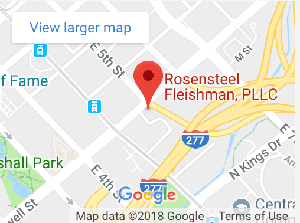 As such, to fully evaluate your case please feel free to contact a traffic ticket attorney at Rosensteel Fleishman, PLLC. § 20 158. Vehicle control signs and signals. (1) At intersections, by erecting or installing stop signs requiring vehicles to come to a complete stop at the entrance to that portion of the intersection designated as the main traveled or through highway. Stop signs may also be erected at three or more entrances to an intersection. (2) At appropriate places other than intersections, by erecting or installing stop signs requiring vehicles to come to a complete stop. (3) At intersections and other appropriate places, by erecting or installing steady beam traffic signals and other traffic control devices, signs, or signals. All steady beam traffic signals emitting alternate red and green lights shall be arranged so that the red light in vertical arranged signal faces shall appear above, and in horizontal arranged signal faces shall appear to the left of all yellow and green lights. (4) At intersections and other appropriate places, by erecting or installing flashing red or yellow lights. (1) When a stop sign has been erected or installed at an intersection, it shall be unlawful for the driver of any vehicle to fail to stop in obedience thereto and yield the right of way to vehicles operating on the designated main traveled or through highway. When stop signs have been erected at three or more entrances to an intersection, the driver, after stopping in obedience thereto, may proceed with caution. (2) a. When a traffic signal is emitting a steady red circular light controlling traffic approaching an intersection, an approaching vehicle facing the red light shall come to a stop and shall not enter the intersection. After coming to a complete stop and unless prohibited by an appropriate sign, that approaching vehicle may make a right turn. 2. Pedestrians who are moving towards the intersection, who are in reasonably close proximity to the intersection, and who are preparing to cross in front of the traffic that is required to stop at the red light. c. Failure to yield to a pedestrian under this subdivision shall be an infraction, and the court may assess a penalty of not more than five hundred dollars ($500.00) and not less than one hundred dollars ($100.00). d. The Department of Transportation shall collect data regarding the number of individuals who are found responsible for violations of sub subdivision b. of this subdivision and the number of pedestrians who are involved in accidents at intersections because of a driver's failure to yield the right of way while turning right at a red light. The data shall include information regarding the number of disabled pedestrians, including individuals with visual or mobility related disabilities, who are involved in right turn on red accidents. The Department shall report the data annually to the Joint Legislative Transportation Oversight Committee beginning January 1, 2006. (2a) When a traffic signal is emitting a steady yellow circular light on a traffic signal controlling traffic approaching an intersection or a steady yellow arrow light on a traffic signal controlling traffic turning at an intersection, vehicles facing the yellow light are warned that the related green light is being terminated or a red light will be immediately forthcoming. When the traffic signal is emitting a steady green light, vehicles may proceed with due care through the intersection subject to the rights of pedestrians and other vehicles as may otherwise be provided by law. (3) When a flashing red light has been erected or installed at an intersection, approaching vehicles facing the red light shall stop and yield the right of way to vehicles in or approaching the intersection. The right to proceed shall be subject to the rules applicable to making a stop at a stop sign. (4) When a flashing yellow light has been erected or installed at an intersection, approaching vehicles facing the yellow flashing light may proceed through the intersection with caution, yielding the right of way to vehicles in or approaching the intersection. (5) When a stop sign, traffic signal, flashing light, or other traffic control device authorized by subsection (a) of this section requires a vehicle to stop at an intersection, the driver shall stop (i) at an appropriately marked stop line, or if none, (ii) before entering a marked crosswalk, or if none, (iii) before entering the intersection at the point nearest the intersecting street where the driver has a view of approaching traffic on the intersecting street. (6) When a traffic signal is not illuminated due to a power outage or other malfunction, vehicles shall approach the intersection and proceed through the intersection as though such intersection is controlled by a stop sign on all approaches to the intersection. This subdivision shall not apply if the movement of traffic at the intersection is being directed by a law enforcement officer, another authorized person, or another type of traffic control device. (1) When a stop sign has been erected or installed at a place other than an intersection, it shall be unlawful for the driver of any vehicle to fail to stop in obedience thereto and yield the right of way to pedestrians and other vehicles. (2) When a traffic signal has been erected or installed at a place other than an intersection, and is emitting a steady red light, vehicles facing the red light shall come to a complete stop. When the traffic signal is emitting a steady yellow light, vehicles facing the light shall be warned that a red light will be immediately forthcoming and that vehicles may not proceed through such a red light. When the traffic signal is emitting a steady green light, vehicles may proceed subject to the rights of pedestrians and other vehicles as may otherwise be provided by law. (3) When a flashing red light has been erected or installed at a place other than an intersection, approaching vehicles facing the light shall stop and yield the right of way to pedestrians or other vehicles. (4) When a flashing yellow light has been erected or installed at a place other than an intersection, approaching vehicles facing the light may proceed with caution, yielding the right of way to pedestrians and other vehicles. (5) When a traffic signal, stop sign, or other traffic control device authorized by subsection (a) requires a vehicle to stop at a place other than an intersection, the driver shall stop at an appropriately marked stop line, or if none, before entering a marked crosswalk, or if none, before proceeding past the traffic control device. (d) No failure to stop as required by the provisions of this section shall be considered negligence or contributory negligence per se in any action at law for injury to person or property, but the facts relating to such failure to stop may be considered with the other facts in the case in determining whether a party was guilty of negligence or contributory negligence. (1) The operator brought the motorcycle to a complete stop at the intersection or stop bar where a steady red light was being emitted in the direction of the operator. (2) The intersection is controlled by a vehicle actuated traffic signal using an inductive loop to activate the traffic signal. (3) No other vehicle that was entitled to have the right of way under applicable law was sitting at, traveling through, or approaching the intersection. (4) No pedestrians were attempting to cross at or near the intersection.